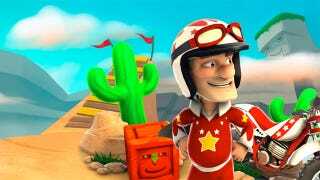 Former PSN exclusive Joe Danger has made a very rare jump to the Xbox 360, Microsoft seemingly content to play second-fiddle for once in exchange for some new goodies. The XBLA version of the game, which I enjoyed very much, will have extras like new characters and new environments. It'll be coming out sometime around the holidays.